Swedish greaseproof paper with a graduated brown stripe pattern provides an elegant accent for your pastries, cakes, and other baked goods. Though suited for baking, this pastry baking cups paper has been designed to add a decorative accent to your pastry display. 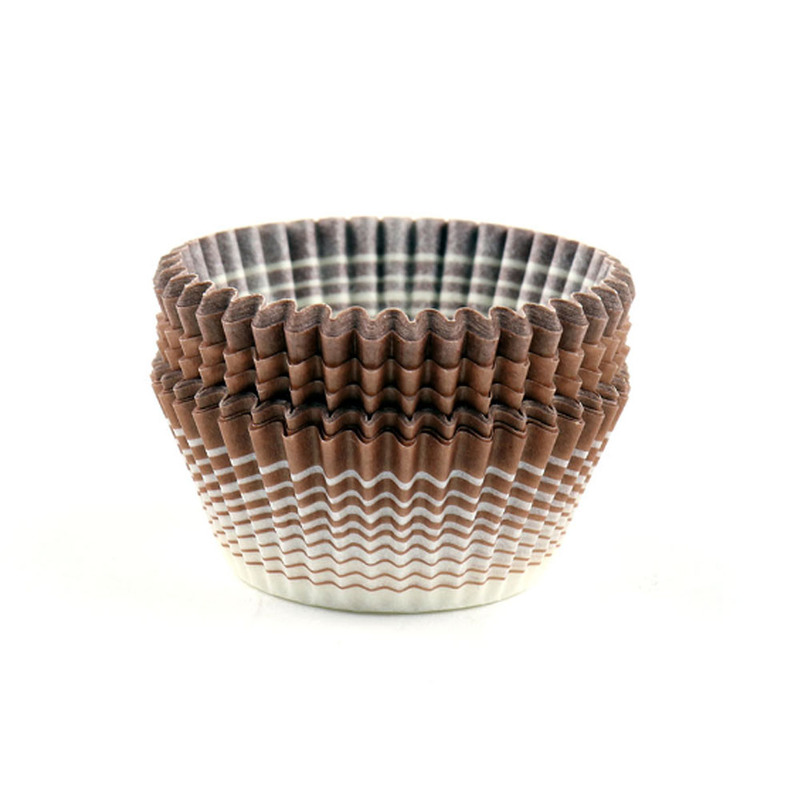 Brown printing is present on the outside of these decorative baking cups only, as interior printing is not recommended for food use.